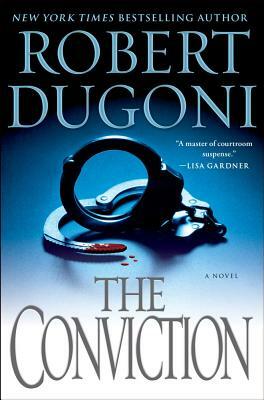 In this gripping, high-octane thriller by critically acclaimed New York Times bestselling author Robert Dugoni, a father takes the law into his own hands to save his son, trapped in a juvenile detention center from hell. Lawyer David Sloane is desperate to get through to his troubled teenage son Jake. Still reeling from the devastating loss of his mother in a brutal murder, Jake has spiraled out of control and Sloane has barely been able to keep him out of jail. So when his old friend, detective Tom Molia, suggests that they take their sons on a guys-only camping trip, Sloane gratefully accepts. What Sloane imagines will be the perfect excursion turns into a horrifying nightmare when the boys are arrested for vandalizing a general store late at night while their fathers are asleep. The next morning, before Sloane and Molia even realize they’re gone, their sons are tried, convicted, and sentenced by the presiding judge to six months in the county wilderness detention camp, Fresh Start. For the teenagers, a grueling physical and psychological ordeal begins. As Sloane fights the conviction against the boys, he discovers that local judge Earl Boykin’s authority seems to extend far beyond the confines of his courtroom. Meanwhile, on the inside, Jake is forced to grow up quickly and soon learns the hard way that this detention center has a very different purpose than rehabilitating troubled youths. With their legal options exhausted, Sloane and Molia will do anything to save their sons—even mount a daring rescue operation that could win the boys their freedom . . . or cost all of them their lives.